The year was 1989. End of year recitals were fast approaching at the Victorian College of The Arts (VCA). It was my first year attending there. It was exciting times in Melbourne. I was so excited. 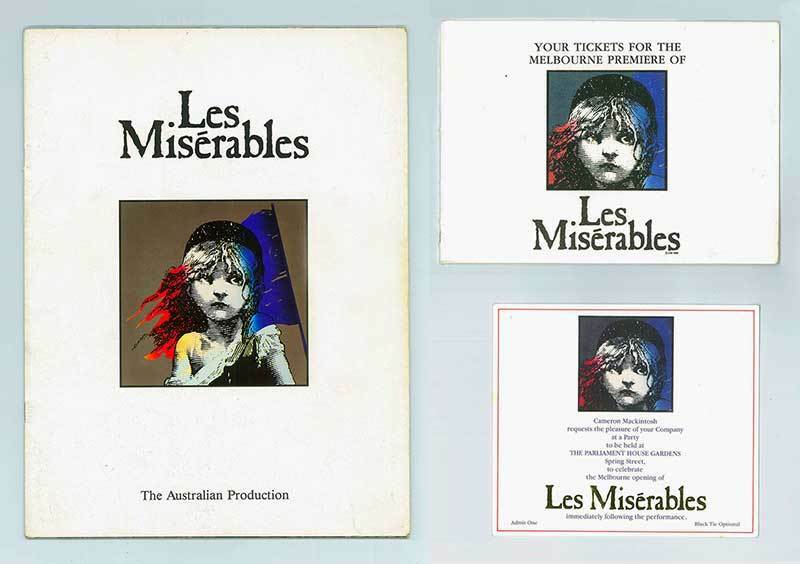 I had seen the old black & white version of the film years before and knew the books famous author Victor Hugo, however I had absolutely no idea that a few years earlier in 1985 an English fellow named Cameron Mackintosh had adapted the book into a musical to rave reviews on the West End and an Australian production had opened in Sydney a year earlier. Hey, my head was on planet jazz. “Yeah sure, I’d love to” I replied excitedly. “Aaah… what is it?” I asked sheepishly. After the caller had given me the run down about the gig, I was super excited. Even though I was very young, I had performed in the orchestras of many school and community theatre productions and was very familiar with my role as a bass player in a musical theatre orchestra. 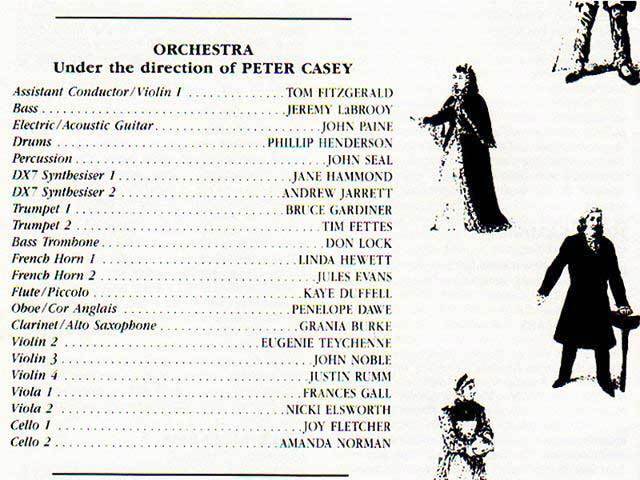 “Before we go any further, you’ll have to audition for the Musical Director Peter Casey.” said John, the caller. “Oooh, ok no problem.” I said. 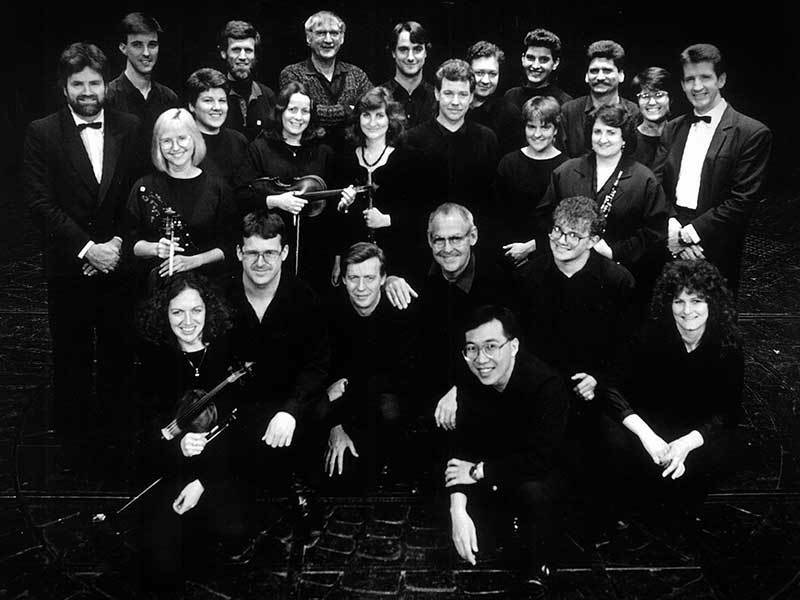 I met Peter Casey in a recital room at the College of The Arts a week later. A very purposeful and affable man, he commenced the audition with a series of requests to play the bass – ie: pieces I knew and sight reading from the piano score of Les Miserables. “Do you play the piano?” he interjected. Although, I had been learning the piano for just a short time, I had been preparing a nice swing version of Jerome Kern’s Yesterdays for an upcoming piano exam at the VCA. “Just a little,” I replied. “Can you play something then? …just anything… it doesn’t matter how simple it is” he requested. I felt quite confident at this point because, I had already been practicing this piece quite rigorously. So I played it just as I had practiced many times and once I finished, I was quite pleased with myself. I began the piece for a second time and made the dynamic choices as he had requested. As Peter circled the piano once again, listening, he approached me sitting at the keys. He waved his hand, motioning me to stop. I awaited his feedback. My eyes widened and my heart soared. It was a wonderful feeling. That hand shake back in 1989 started my life in professional musical theatre and I’ve enjoyed every moment of it since. 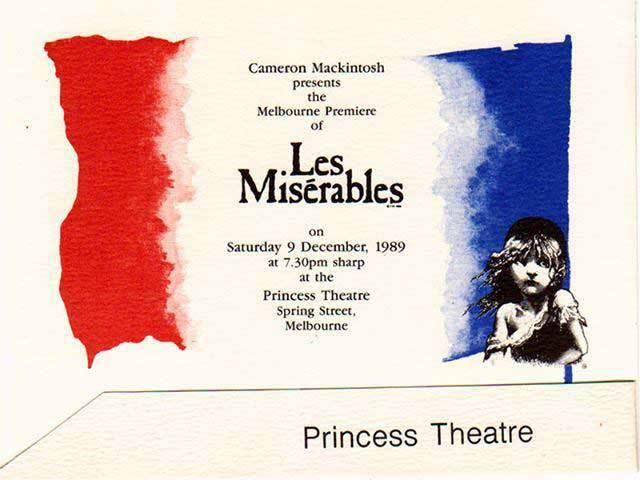 Jeremy LaBrooy has been employed by Cameron Mackintosh P/L as Bass Guitarist for the Melbourne season of LES MISERABLES. He is an extremely talented musician and is always reliable and professional in his attitude towards his craft.